For a color laser printer, the Brother HL-2700CN is admirably fast and can perform a wide range of printing tasks in both color and monochrome. With high capacity toner cartridges and a one year limited warranty, the HL-2700CN is an interesting option for those interested in expanding their existing hardware set with color capabilities. 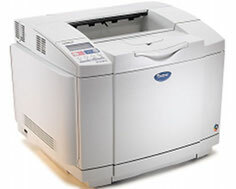 Black and white print speeds top out at 31 pages per minute with the Brother HL-2700CN, which should be expected from a unit of this sheer size. Unfortunately, color speeds are not nearly as good. The built in Ethernet, however, is a great function, especially when considering that many small businesses do the majority of their printing in monochrome and could easily share a small device such as this for their color needs. Resolution is high enough that users could consider printing photos on glossy paper, even though that is usually considered an inkjet printer's task. Thanks to 2400 x 600 dots per inch of clear resolution, imagery will sparkle and text will come out looking additionally professional. The service and support provided by Brother is also outstanding and, in this case, includes a one year limited on site warranty and 24 x 7 toll free technical support. First page out times are at least acceptable at 13 seconds for black and white and 19 seconds for color, while memory is also at just about an average level with 64 MBs included and a single 144 pin DIMM slot for expansion. Optional expansion cards include 64 MB, 128 MB, 256 MB, and full 512 MB options which can be absolutely critical when printing complex print projects, which one would, presumably, do often when using color due to the potential for imagery. The Brother HL-2700cn's color print speed falls severely behind its black and white print rate. With only 8 pages per minute, printing in color will come at a heavy price. 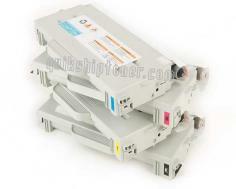 For such a large unit, it also has a fairly limited paper supply that consists of a a single 250 sheet tray. Though it is nice to have a paper tray that is abnormally proficient in handling heavy paper, all the way up to 55 lb weight, the lack of a bypass tray or frontloading slot is very disappointing. On the other hand, having an optional 530 sheet additional tray is a great backup plan for those who require excessive print volume. Unfortunately, color print volume is allowed only to a 5,000 sheet maximum per month which, despite the unit's high monochrome potential, is very low. 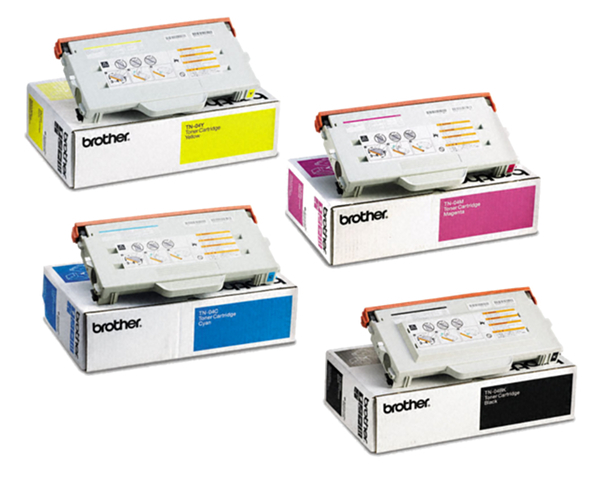 Review it: "Brother HL-2700CN "
The Brother HL-2700CN, much like many color laser devices, utilize a four toner cartridge system that includes the colors black, cyan, magenta, and yellow. Black page yield per cartridge is around 10,000 when calculating for 5% coverage, while color cartridges contain slightly less toner and are good for 6,600 pages each. This differential in yield is done intentionally due to the fact that, even when printing in color, black toner is still heavily used.